Tired of fumbling with loose diapers while on the go? Does Daddy dislike carrying that big diaper bag? Here's our solution to for the on-the-go parent or walks to the park. The Diaper Wallet - convenient sanitary storage for your diapering needs. 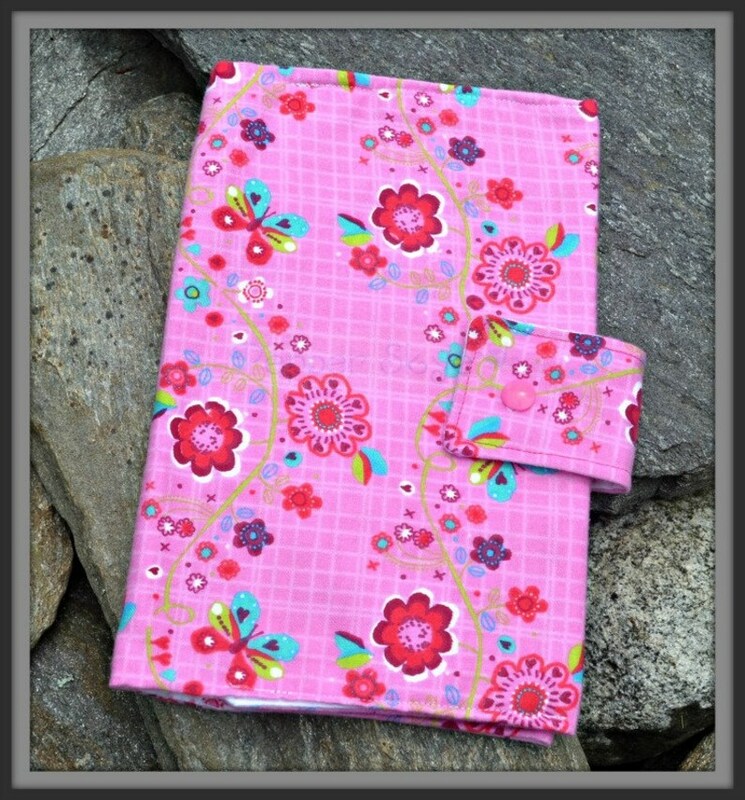 Our Pepper's Pink diaper wallet is made with 2 layers of flannel so it's soft, yet durable. Pockets on each side allow for diapers and wipes to be easily toted around. Colorful flowers scattered across a pink & white background background. It comes with a coordinating plastic snap.